Above is a large scale mural I did for my sister. It went from floor to ceiling on their high, Victorian era home walls, and wrapped around half the room. Below is a commission for a cute holiday festival poster I did for a Waldorf school using gouache paint. Gouache paint is lovely because it can be thinned to a watercolor consistency or used without much water, like acrylics. 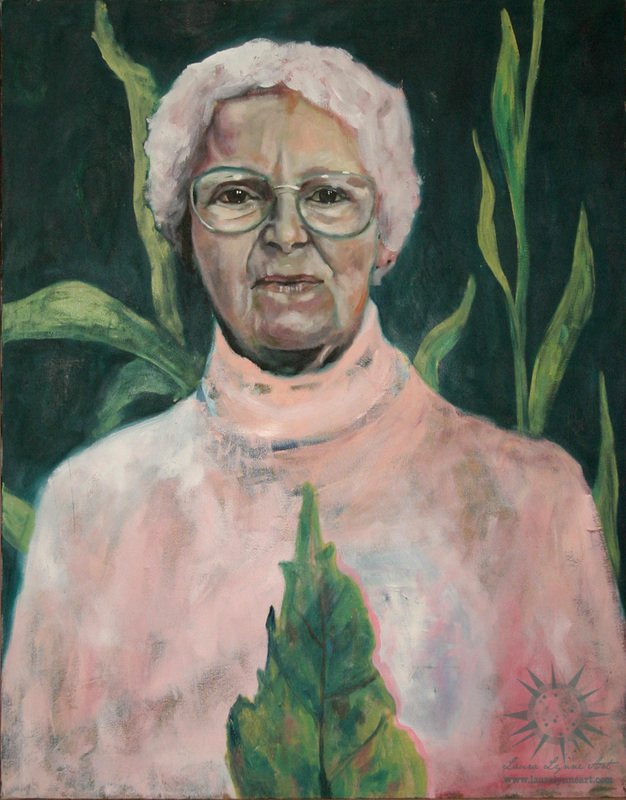 This is an oil portrait painting I did using a photograph that I took of my grandma. She meant a lot to me and shared her love of plants and gardening. Below is an owl illustration commission, painted on a puzzle. This was done for a pastor’s church sermon. Everyone got a piece of the puzzle to assemble as a group. If you are interested in commissioning a painting, mural or a portrait, please contact me. About the Artist/Author: Laura Lynne is a mixed media hand cut paper artist and muralist living and working 40 miles west of Chicago in Aurora, IL. She uses her photographs, metallic paper, and painted papers to create boldly colored, whimsical artworks. To see more of Laura Lynne’s original art, pet portraits, illustrations and jewelry, please visit www.lauralynneart.com.